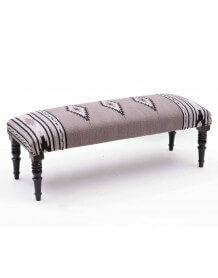 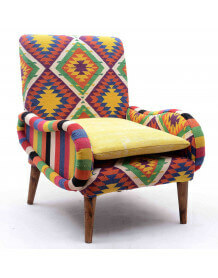 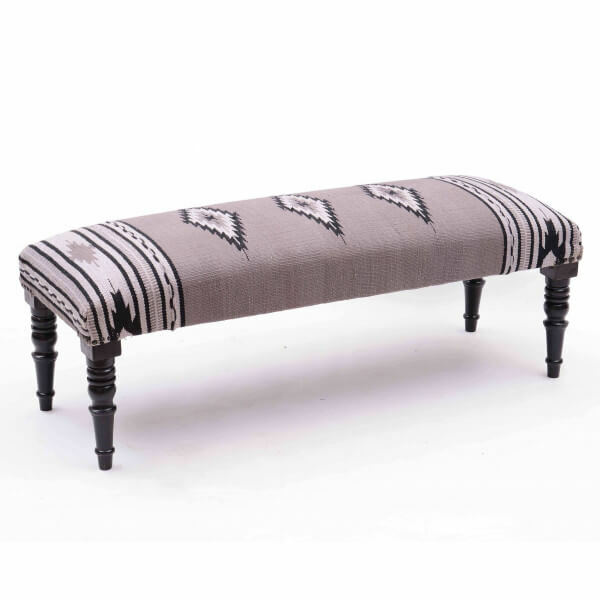 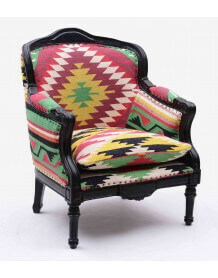 The baroque Kilim bench is covered with a quality cotton woven Kilim rug in geometric navajo style. 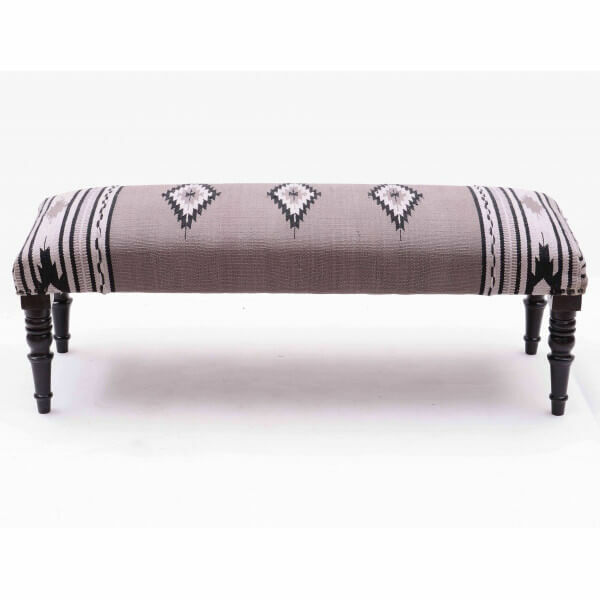 This decoratif bench will give a touch of ethnic style to your home, you also will appreciate its comfortable upholstered seat. 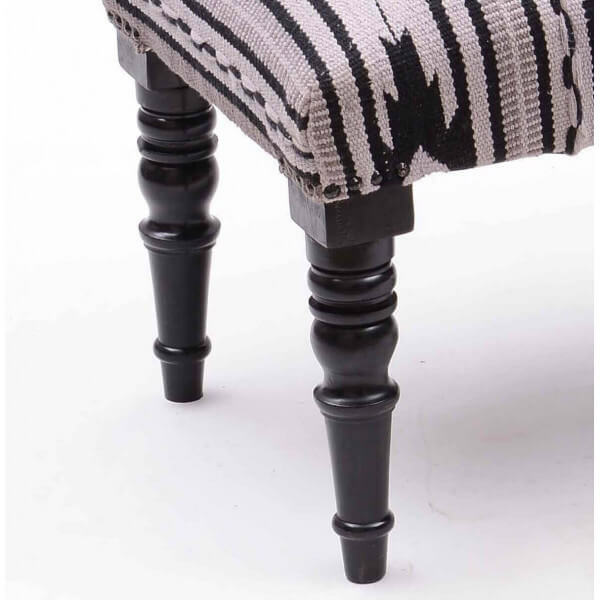 Its shape and black laquered wooden legs are directly inspired by the baroque style design.